Wolf can complete your training requirements, we offer internal and external certification, and our instructors are fully qualified and experienced in their choosing field, on completion of training all successful candidates will receive certification and Log book. Training can be completed at our training centre or on-site. The courses below have been approved by the Lifting Equipment Engineers Association (LEEA). A certificate will be issued by LEEA on successful completion of the course. 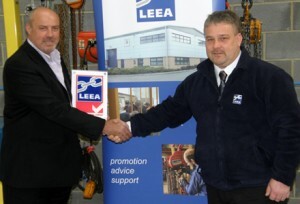 Wolf offshore receives its accreditation plaque as an accredited training provider for LEEA training courses.